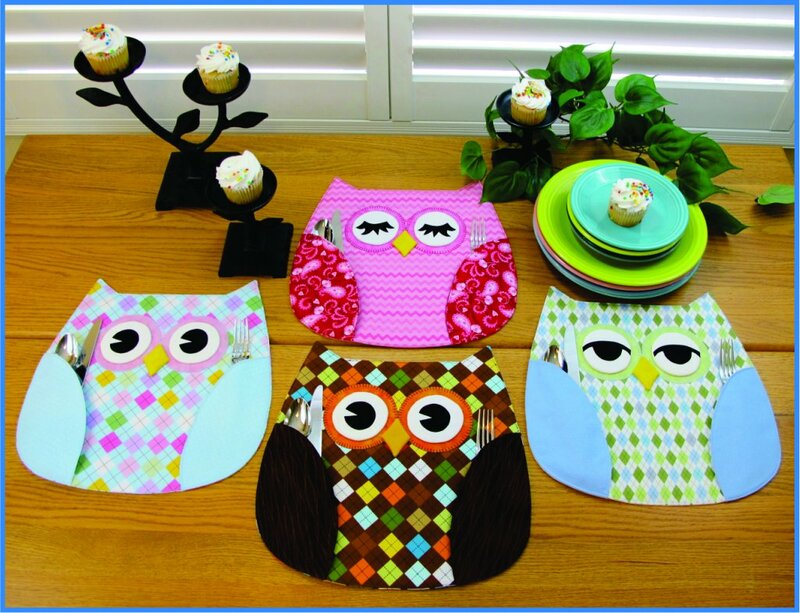 Make your meals happy at home with some really sweet Owl Place Mats! Cute sewing pattern to make Owl Place Mats with wing pockets to hold silverware or treats, and three different eye styles that you can mix or match for even more fun! So quick you can sew up a bunch in no time for a party! Sew quick, easy, functional and fun! Putâ€™s a smile on everyoneâ€™s face! Finished size 13" x 13".